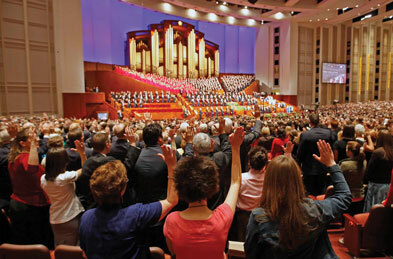 SALT LAKE CITY, UT: The Church of Jesus Christ of Latter-day Saints, known as the Mormon Church, has taken steps to distinguish itself from the controversial Fundamentalist Church of Jesus Christ of Latter-day Saints, following an April raid on the latter's polygamist YFZ Ranch in Texas. On June 26, after they had surveyed the public's perception of the Church with help from APCO Worldwide, its AOR for the last year, the Mormons launched an educational effort to help clarify their beliefs and practices, which included a Web site and several online videos. "We found a high degree of association among the general public [between FLDS and the Church], which is really quite concerning," said Mike Otterson, the director of public affairs for The Church of Jesus Christ of Latter-day Saints. "We wanted to be separate from the kind of debate that was going on in the public, because it had nothing to do with us. At the same time, we were concerned that people were confusing us with this group." The videos, which the Church is encouraging its members to post on their Facebook and MySpace pages, are available on the Church's Web site and YouTube. The organization also created a microsite, MormonsAndPolygamy.org, to specifically address its stance on polygamy, which it bans. "We want people who are searching for information on this topic to get the right kind of information," Otterson said. "The more video we can put up, and put on YouTube, and [can] encourage our members to embed these videos on their own blogs and make some of these go viral - [that's] all a part of this education effort." While the Church is targeting all demographics, a special focus is being paid toward young adults, who might have less of an understanding of the Church, Otterson said. In reaching out to the media, the Church gave an exclusive to The Associated Press about its educational effort, which was picked up in many outlets. It also sent a letter to several major publishers to clarify its name, noting how it differs from the FLDS.